At Salesforce, the world’s #1 CRM company and the fastest growing of the top 10 enterprise software companies, advanced communications and presentation technology play a crucial role in daily operations. 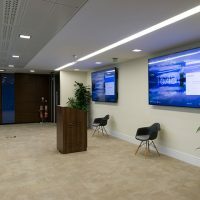 As part of Salesforce’s IT infrastructure upgrade and office expansion in Dublin, Image Supply Systems was engaged to design and integrate new audio visual and conferencing systems throughout The Atrium and Central Park offices in Dublin 18. Post installation support and maintenance services are also provided. Removal of existing systems, re-installation and reprogramming works in order to resolve technical issues and provide a stable infrastructure. 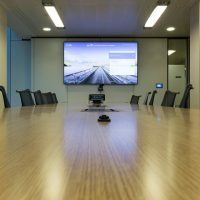 Installation of new presentation and conferencing facilities in compliance with Salesforce global standards, including Chrome for Meetings. Custom design of systems to compliment and enhance the office interior décor. 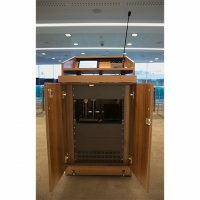 New technologies cater for daily presentation and communications requirements very effectively; the high level of usage is testament to this. Professional quality equipment was installed, which is proven to be robust, reliable and suitable for frequent usage. Control interface design adheres to the Salesforce standard; intuitive control allows users to operate systems with ease and confidence. The AV upgrade project has been completed in two phases. New presentation, conferencing and control facilities were installed as part of the Chrome for Meetings initiative. Compliance with pre-defined installation standards was crucial. Equipment from leading brands was selected and systems were integrated in full adherence of the RFP guidelines e.g. cabling methods. We worked closely with New York based PTS Consulting throughout the project. The upgrade project has proven to be very successful. Installed systems fully cater for user requirements and a high standard of finish has been achieved. 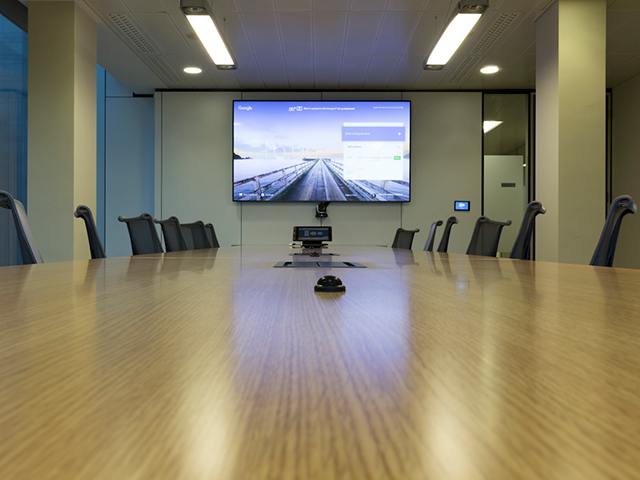 Phase Two featured the design, supply, integration and commissioning of audio visual systems in Salesforce offices in Central Park Level 5. The new Level 5 office space comprises of meeting, conference and collaboration rooms of various sizes and function, and digital signage. • The systems we installed are similar to those installed in our previous Salesforce integration projects. 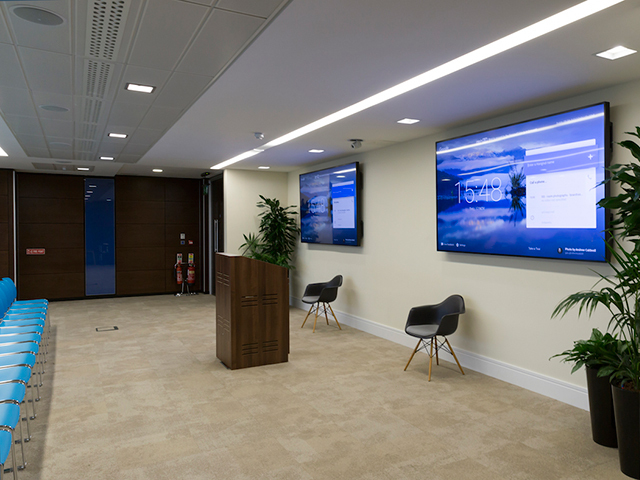 We worked closely with Teecom Engineering Consultants, Crestron and Sonica-Fitout throughout the project. Comprehensive user training was provided at each phase. 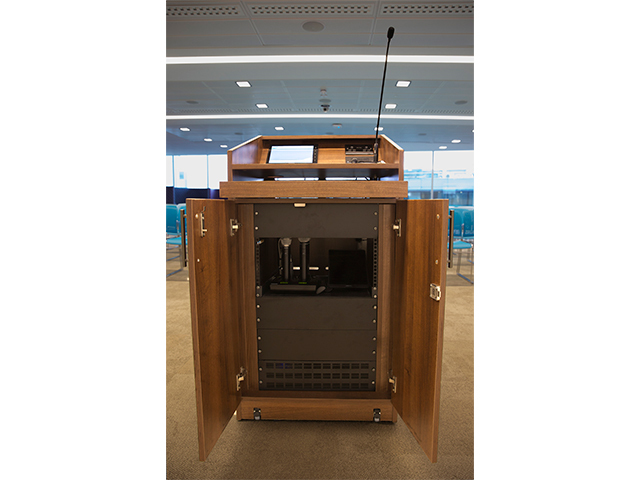 65” repeater screens on trolleys with wireless connectivity are also available for large audiences. Infrastructure stability has been restored. Image Supply Systems continues to provide ongoing technical support and pro-active maintenance services for the systems we have installed in Salesforce offices.